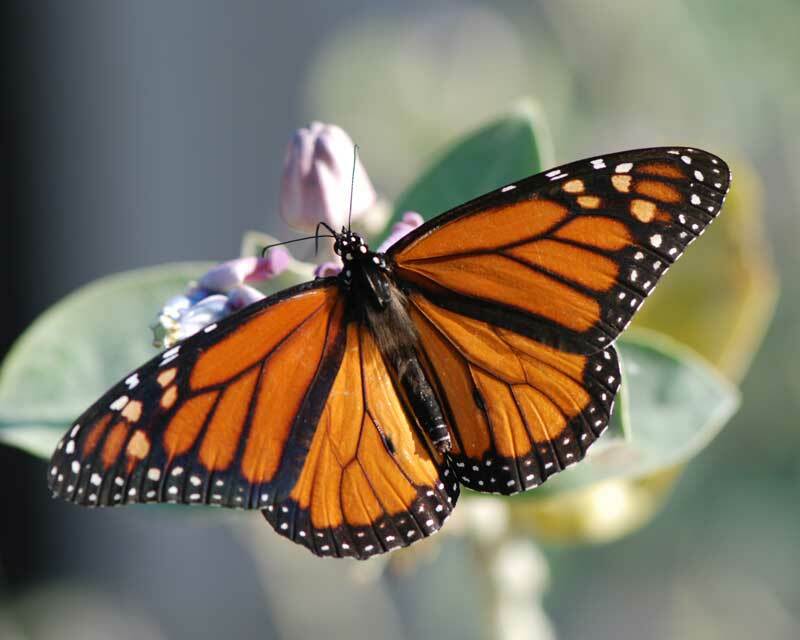 The “Friends of the Butterflies” are donors who are committed to supporting The Water Conservation Garden’s Dorcas E. Utter Memorial Butterfly Pavilion and related educational programs. By joining the “Friends,” you help make possible the opportunity for others to learn about the critical role butterflies play in San Diego’s eco-system and what we can all do to promote the sustainability of our environment for future generations. Your gift will help The Garden maintain the Butterfly Pavilion to ensure it serves as an educational resource for the community in perpetuity. In recognition of each gift, donors will receive a handcrafted glass butterfly in a size commensurate to the gift and an engraved plate with verbiage of their wishes. The butterfly is displayed permanently in the “Tree of Friends” in the Butterfly Pavilion courtyard. The names of “Friends” donors are included in The Garden’s annual report, newsletter, website, and other areas of recognition. Naming opportunities are also available for other features within the exhibit. One of the most well recognized butterflies is the Monarch (Danaus plexippus) with its beautiful black and orange coloration. The Monarch is also the furthest migrating butterfly, flying over 3000 miles from Canada to the Occidental Mountains in Mexico. The Anise Swallowtail (Papilio zelicaon) is a common swallowtail butterfly of western North America. Both the upper and lower sides of its wings are black, but the upper wing has a broad yellow stripe across it, which gives the butterfly an overall yellow appearance. 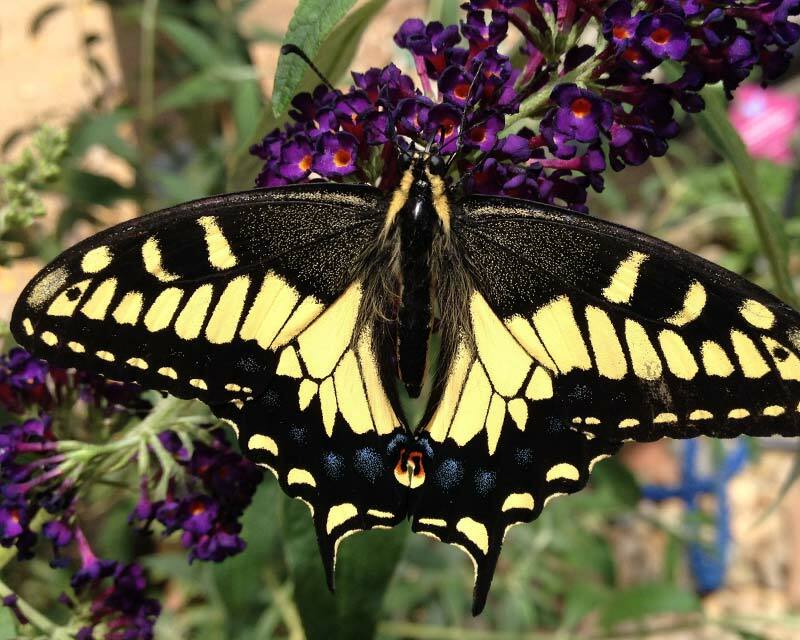 There are striking blue spots on the rear edge of the rear wing, and the characteristic tails of the swallowtails.